At the United Nations Rio+20 Conference in June 2012, green economy* was considered as one of the important tools for achieving sustainable development. Because forests form a foundation of a green economy, forest sector can play a key role to shift the trend. Forest certification is recognized as a promising development for greening the forest sector. 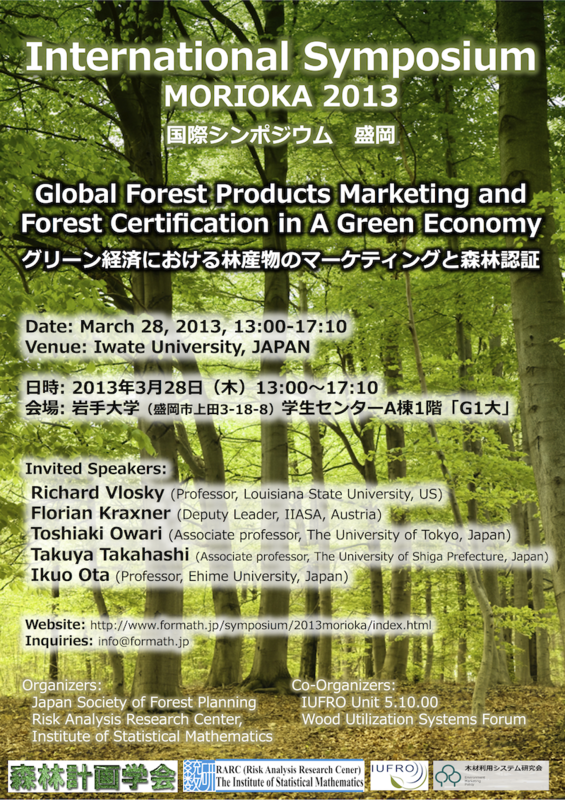 This symposium focuses on providing a synthesis of scientific research on forest products marketing and forest certification worldwide to discuss strategies and challenges of the forest sector in a green economy.